Intense Hydration for drier skin types, a revolutionary extra lightweight formula, with proven results in just one week. Drawing upon over 160 years of skin hydration expertise, Kiehl’s chemists have developed a paradoxical new formula architecture, specifically for drier skin types, that imparts deep hydration in a surprisingly lightweight architecture. 100% of subjects. Clinical results demonstrated significant improvements on visible skin dryness in just 7 days. Kiehl’s nourishes drier skin customers – a large, yet underserved population Dry and very dry skin types comprise a large part of the world’s population: 33% in the United States, 32% in Korea, and 21% in Europe. These customers experience more intense symptoms than normal or Kiehl’s hydration innovation: The efficacy and power of a boulder, the weight of a cloud. Unlike heavy creams available on the market to treat dry skin types, Ultra Facial Cream Intense Hydration does not use traditional thickeners such as waxes or butters that can feel heavy on the skin. Instead, it employs a lightweight cream foundation to impart a moisturizing yet weightless feel to the skin. Clinically testing in one of the world’s extreme climates with extreme users. 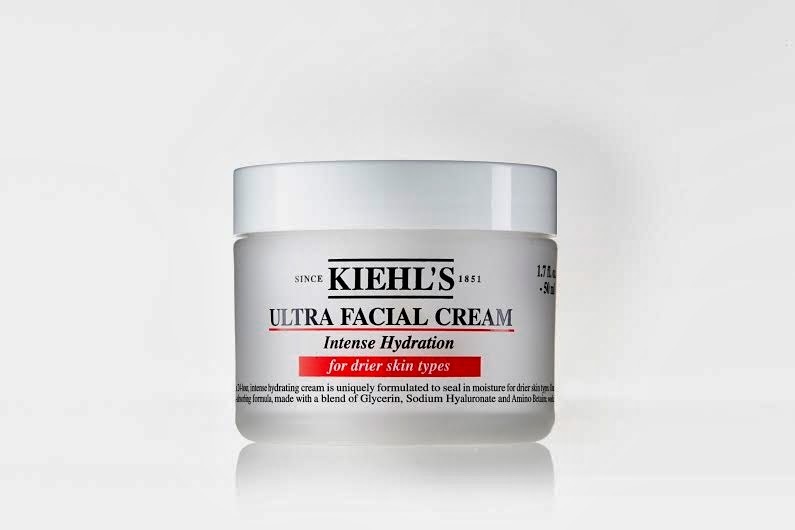 To conduct a real-life evaluation, the chemists at Kiehl’s “torture tested” the new Ultra Facial Cream Intense Hydration under two extreme conditions - extreme heat and on very dry skins. The first: in Phoenix, Arizona. to exhibit symptoms of extremely dry skin.45 In the instrumental test6 The formula was proven to provide 24 hours of skin hydration o 100% of subjects showed significant improvement in skin hydration 100% of subjects showed significant improvement in skin barrier protection. 3 National Climatic Data Center. NOAA's 1981-2010 Climate Normals. 6 Test data read by an instrument after immediate product application and at 24 hour time point. 7 Test subjects apply Kiehl’s Ultra Facial Cream Intense Hydration twice a day, 7 days. 1) Hyaluronic Acid: This ingredient can hold up to 1000 times its weight in water and is a highly effective humectant that draws in moisture to keep skin hydrated. 2) Biomimetic Hydrator: This biocompatible structure, similar to the structure of the phospholipids found in the human cellular membranes, helps seal in moisture. This hydrating ingredient is also known to be used in the medical world in soft eye lens technology to keep lenses hydrated, even in low humidity conditions. With Enriched Hyaluronic Acid, the formula helps to increase water capture in the outermost layer of the epidermis to help “fill in the cracks” where symptoms of dry skin are most visible. 9 Magnified images showing reduction in visible skin dryness after using Ultra Facial Cream Intense Hydration. Refined Apricot Oil, an ingredient highly compatible with skin, is a refined fruit oil that contains Omegas 3, 6, and 9 as well as essential fatty acids. The formula, with Refined Apricot Oil, helps condition and soften the skin to reduce visible dryness and flakiness.